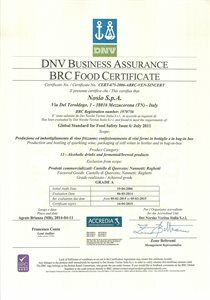 Certified Sustainable Quality, from the vineyards to the wine. Mezzacorona wines are the result of a wise wine-growing tradition combining technique with a unique natural setting: this is where our quality and excellence wines labelled with registered designations of origin come from. 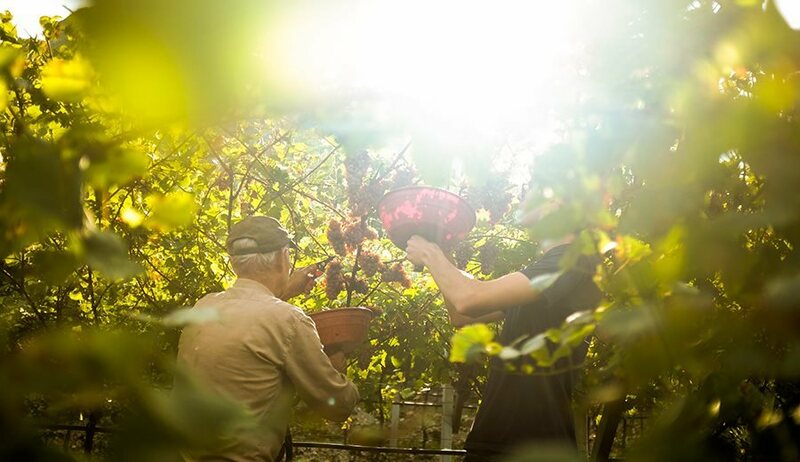 Safety and sustainability have always been at the core of our philosophy: for decades Mezzacorona members adhere to the protocol sustained by the Province of Trento for integrated production, a voluntary agreement which encompasses farming policies that respect human lives, the environment, and consumers. Mezzacorona's commitment to environmental sustainability starts with the first important link of the supply chain, the grape growers, who have always been committed to preserving the biodiversity and to playing an active role in improving the quality of the natural resources of the territory; the same commitment is carried out today until the end of the production cycle. Our forward-thinking vision in terms of sustainability, environmental and social causes came to fruition: In November of 2017, the Group was awarded as a finalist of the fourth edition of the Biblioteca Bilancio Sociale Award. they respect flowering and ripening times when trimming and pruning. In addition to enhancing the value of natural resources, the members' commitment is also aimed at their protection. Our growers understand the importance of a proper land use and act accordingly, by constantly monitoring the activities and by keeping to a minimum the use of synthetic fertilizers and pesticides. Water resources are managed through a drip system irrigation, also known as “deficit irrigation”, which allows the right amount of water to reach the vine only when required, therefore avoiding any waste of resources. 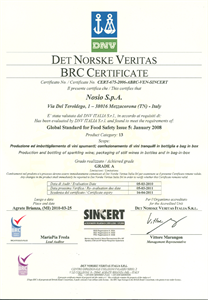 Recently, Mezzacorona's commitment to environmental sustainability has become more and more rigorous. 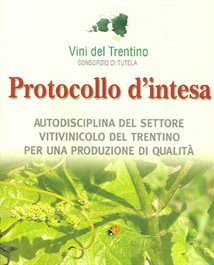 Under the coordination of the consortium of wines from Trentino, the viticultural sector in Trentino signed an agreement with the National Institute of Health (Research Institute of the Ministry of Health) which outlines a classification of pesticides, based on their safety margin: high, medium and low. 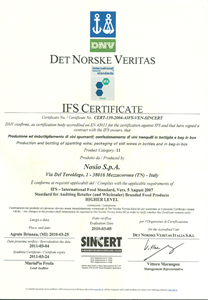 The approach is stricter compared to elsewhere in Italy: protocol foresees the exclusion of any products which could pose any health risks for growers, producers and consumers by strictly limiting the use of synthetic pesticides in order to conform to the highest safety margin. 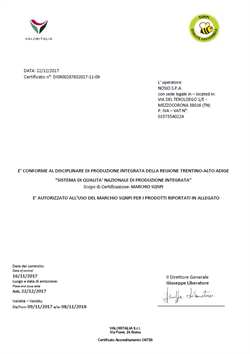 All Mezzacorona’s growers obtained in 2016 the SQNPI certification (National Quality System of Integrated Production) confirming that all activities in their vineyards comply with the Protocol. 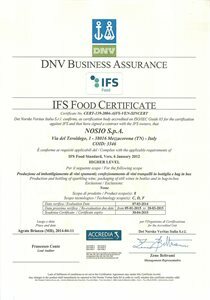 This is a unique example in Italy of coordination for integrated sustainable production quality involving thousands of farmers. 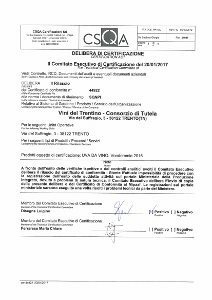 Along with the checks carried out by the CSQA - the inspection body responsible for the certification of the vineyards based on territorial control plans - in 2017 we obtained the certification of traceability given by the inspection body Valoritalia. 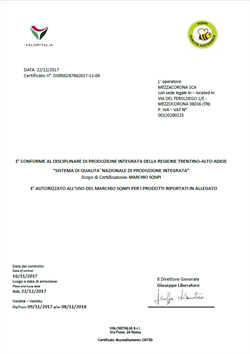 This means that all Mezzacorona DOC Wines have been included in the SQNPI certification since the 2017 harvest. 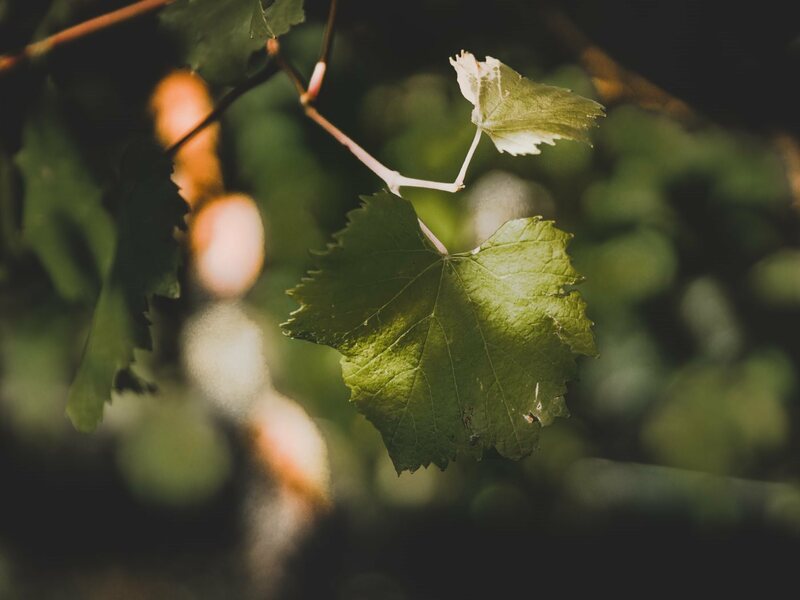 The wine certification is the result of many steps and controls throughout the production cycle – from the land to the bottle. 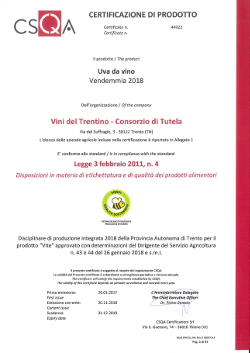 Among the various controls, winery managers must ensure and guarantee perfect traceability of each plot and each bottle as an assurance that the wine comes strictly from selected grapes and has been controlled and certified by SQNPI.